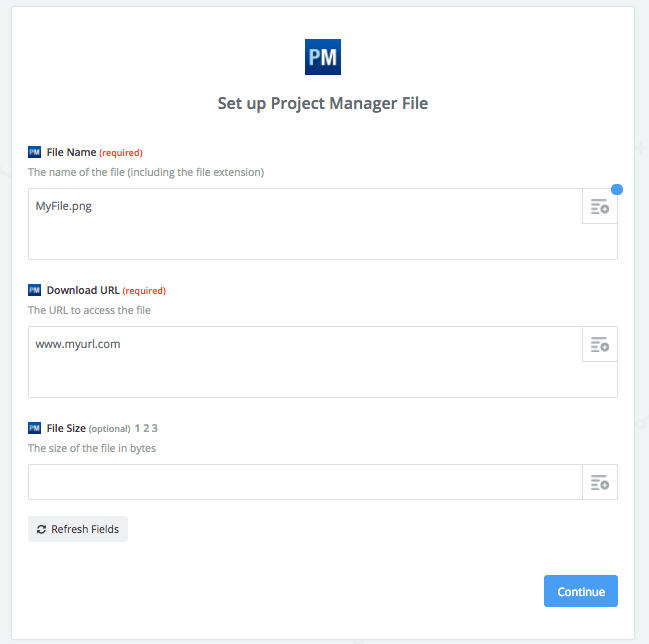 It’s very easy to integrate ProjectManager.com with SendinBlue using Zapier. Zapier is a tool that allows you to connect apps and actions. In real terms, every time a new contact is added to SendinBlue, you can add a file to ProjectManager.com using Zapier. Confirm and activate your zap, and you're all done! Note: Zapier only accepts new contacts between two applications once the zap has been activated. It does not allow you to include all your previous contacts. You can also create your own zaps in Zapier. Feel free to send an email to contact@sendinblue.com if you'd like another preconfigured zap.